The Pacific Region team lead by Scott Baker won the one event that they wanted more then any other - the on-water SAR exercise (one of only 4 teams to locate the search object) - this is really the only event that relates directly to what we do day to day. All the members of Team-Pacific were thrilled with this result. 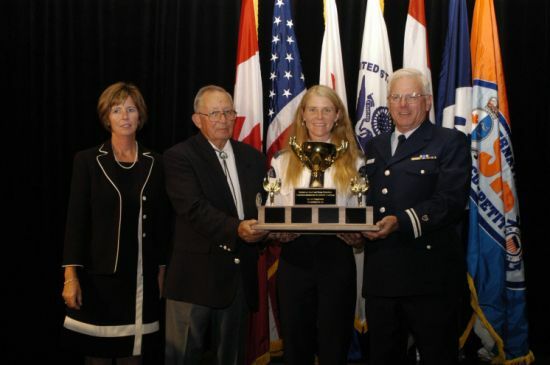 Team-mate Shawn Burchette from Unit 1 took the lead of team Canada (a composite team of members from four of Canada´s five regions) to win in 3 events (including Communications and Marlinspike), the National Championship, and the overall 2005 ISAR trophy. Our very own Kellei Bulmer lead a team of two Americans over twice her age that she had never met before to win 2 events (SAR pump and Marlinspike) in the Can-Am Competition; going on to win the overall 2005 International Can-Am trophy - our next RHIOT candidate perhaps?